Summer sun isn`t good for your skin, in fact it`s pretty dangerous. 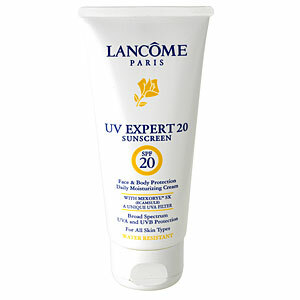 UV Expert 20 With Mexoryl SX from Lancôme offers good protection against sun rays, minimizing the effects of UV exposure, which is the number one cause of wrinkles and age spots. It prevents premature aging, which makes it a wise option during summer.